Boccini Family portrait, Trieste, Italy, July 1936. 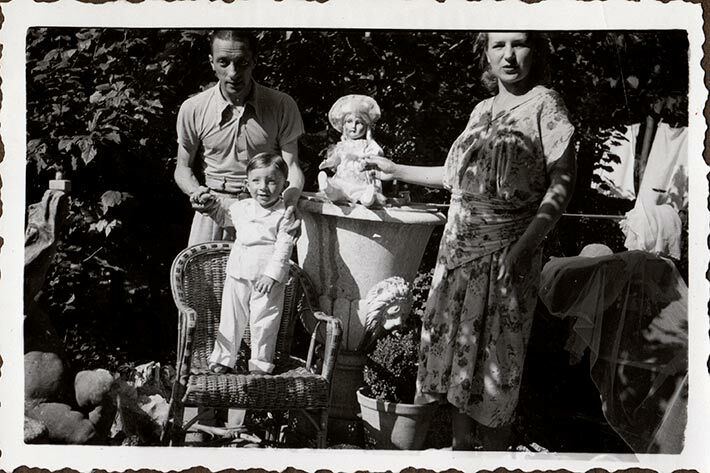 Roger Boccini is standing on a wicker chair, supported by his father, Alberto. His mother holds a doll on what appears to be a garden fountain edge.